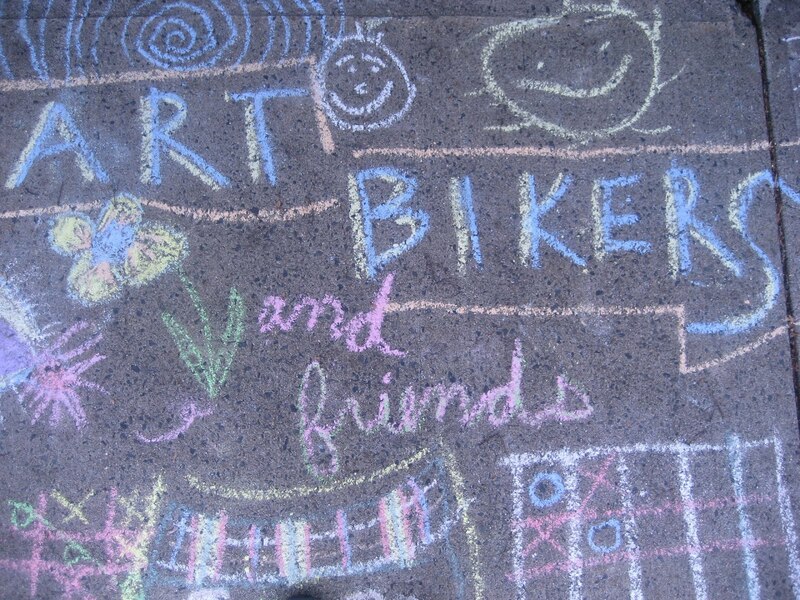 Friday the 13th turned out to be a LUCKY day for the Art Bikers because we got to hang out some with some cool guys and gals and create some creative interpretations of the North End Community Garden! Everybody wove their own garden plot using lots of amazing different textures and fabrics, then learned how to felt whatever vegetables and fruit they wanted to be growing in their plot. The finished plots (with veggies attached!) will be sewn together, to hang as a beautiful community tapestry in the North End Community Health Centre. With the games we played at lunch, some dance moves and swivel-chair races, cheesy pizza and salad fresh from the Community Garden, it was a perfect day! A beautiful finished plot, complete with veggies and sun!